Exchange mailbox database is an essential part of Microsoft Exchange Server, a structured storage that keeps all information about the server’s mailboxes and their contents. Exchange mailbox database is used to manage all of the company’s messaging and collaboration. It tracks events of e-mail message deletion, changes in mailbox sizes, and assists in message transferring. It is stored in a Microsoft Exchange database (.edb) file. To backup Exchange mailbox, you need to use a specialized backup software, such as Handy Backup. 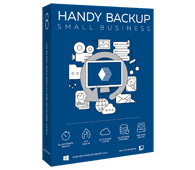 Download Small Server and backup Exchange Server today! 30 days of fully functional trial usage plus money-back guarantee (yep, we are that confident that you’ll like the app)!